"Donna and family, I know you don't know me but I grew up in..."
"Donna I am so sorry to hear about your loss. Hugs to you..."
"It has been our honor and privilege to care for Merlyn...."
Merlyn Klemme, 75 of Akron, Iowa, passed away on November 1, 2018 at Prairie Estates Care Center in Elk Point, South Dakota. Memorial Service will be 11:00 a.m., Saturday, November 10, 2018 at the First Baptist Church in Akron, Iowa with Pastor Larry Nilson officiating. Expressions of sympathy may be expressed to the family through www.rexwinkelfh.com. Merlyn Lee Klemme was born on September 26, 1943 in Akron, Iowa to Marvin and Mildred (Lemen) Klemme. 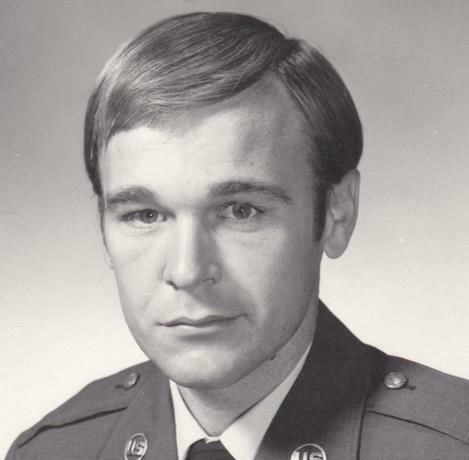 He graduated from high school in 1962 and enlisted in the United States Air Force in 1963. Merlyn spent 20 years in the Air Force; he stationed in many different places including: Texas, Mississippi, Georgia, Florida, Nebraska, Belgium and Kansas. He was honorably discharged in 1983. He then began working for the City of Lawrence, Kansas - Water Department from September 19, 1983 to September 11, 2009. Merlyn enjoyed collecting guns, antique cast iron metal and antique farm equipment. He always took a lot of pride in his yard and took great care of it. Merlyn and Donna spent their winters in Texas at a lake home. He liked to spend time outdoors, go for walks and visit with his church family. His favorite time was spent with his family, especially during the holidays. His grandchildren and great grandchildren meant the world to him. Merlyn is survived by his wife, Donna Klemme; children: William (Judy) Klemme of Lecompton, Kansas, Cassie Klemme and Teresa Klemme of Lawrence, Kansas, and Virginia Treadwell of San Angelo, Texas; sisters: Myrna Jo Loll of Acworth, Georgia and Merrie (Rich) Rutherford of Papillion, Nebraska; 10 siblings in law; and many nieces, nephews, and other relatives. Merlyn is preceded in death by his parents: Marvin and Mildred Klemme; parents in law; Melvin and June Dawdy; sister, Marlene Klemme; brothers in law: Ron Prunty, Bob Loll, Dean Dawdy and Dan Dawdy; and grandson, Dustin Kasson.